Serving: 12 oz or 22 oz bottles. 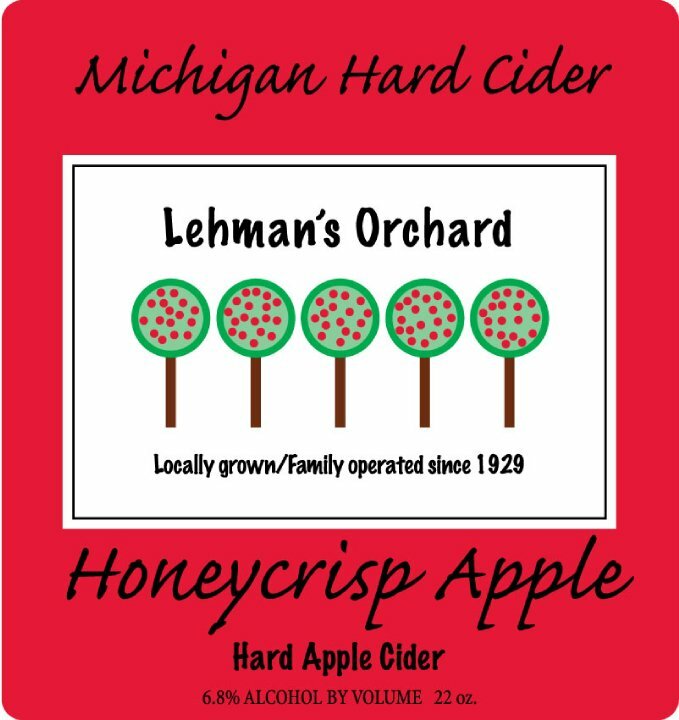 This refreshing off-dry small batch cider showcases Lehman’s Orchard’s homegrown sweet and slightly tart honeycrisp apple. The pale gold cider is lightly carbonated with bubbles that dance around the glass with poured. After settling the cider has a very slight haze and a few visible bubbles. The aroma of this cider is full of crisp apple scents with slights notes of yeast. This cider is unexpectantly, but pleasantly, off-dry with a nice balance between sweetness and acidity. The honeyed flavor we’ve come to expect from this apple variety is nicely balanced keeping the cider from becoming too syrupy. The tartness of the honeycrisp apple is very present, with notes of peach and a grapefruit finish. Bubbles sparkle on the tongue with a slightly sour aftertaste. This is a very good “true to the apple” cider. Its crisp, fruity and refreshing taste will remind wine lovers of Viognier. On the palate Viognier provides dry flavors of tree and stone fruit. This cider, like Viognier, pairs nicely with freshwater fish and milder cheeses.